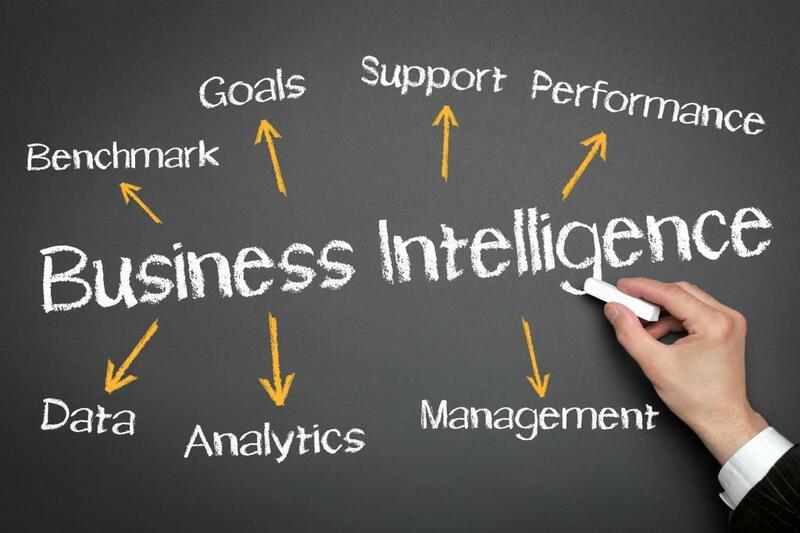 Business Intelligence is often still a very IT-centric, top-down undertaking. Teams of engineers process the raw data into warehouses and analysts build reports and vizualisations that are then published in a self-service tool or distributed via Email. But Business Intelligence has one critical problem that it has yet to solve: making people actually use it. Even the new breed of analytics software lacks the mechanics to make access to insights easy and then collaborate around them. BI today provides the technical groundwork of having data ready for its stakeholders. And then the process ends before the true value of it gets a chance to unfold. Collaboration and decision-making is not yet part of Business Intelligence. The lack of attention towards data consumption is exactly the reason why BI adoption rates are low. In fact, numbers suggest that still only 18–24% of people in an organization use BI tools, while the potential is expected to be at 50% — and ever increasing. The concept of “build it and they will come” is simply not enough. Engaging people in your organization with data is necessary — and it’s possible. But it requires a strategy and the same level of attention as other parts of your BI process. Most important of all, you need to acknowledge that your traditional set of BI tools won’t get you there. Engagement and collaboration won’t happen in a self-service portal or email-threads. Instead, your data needs to go places where communication can flow naturally: in-person meetings and more scalable — the new wave of business messenger tools like Slack, HipChat or Microsoft Lync. They come closest to direct, in-person communication and make digital collaboration feel more natural. Those business messengers have one big advantage over self-service portals and email: With the right integration to your analytics tools, they can provide push and pull capabilities for analytics in one unified interface, making them your partner in crime at getting end users engaged with data. Pushing reports and dashboards out to your audience serves two core functions: One is fulfilling the basic needs for information, the other is making them aware of changes that require attention. Think about the handful of business KPIs everyone in your organization needs to have on top of its mind. Those are the metrics you want to push frequently because you don’t want to rely on people remembering to check them. Scheduled distribution of reports shouldn’t go beyond your core KPIs. Too many recurring reports will create fatigue and will result in the opposite of engagement. Instead, view them as the appetizer that informs but makes hunger for more. Pushing data-driven alerts in the moment relevant change happens is a great concept, but sill lacks a solution that just works. Manual monitoring is not scalable and today’s programmatic approaches are challenged by the trade-off between false-positives (hello, alert-fatigue) and missing important trends. However, the rise of machine learning technology combined with, again, messenger apps that can serve the algorithms as instant feedback loops, create high hopes to solve this in the not-so-far future. People need answers to questions instantaneously — that’s why reporting is only one piece of the puzzle. Providing fact-based answers to specific questions in almost no time is the biggest challenge and biggest obstacle in having a thriving, data-driven culture. Self-service tools, interactive dashboards with drill-downs and filters serve your data-savvy users well, but if you want to get more than just BI power users and die-hard analysts to work and collaborate around your data, you need to find a better way. Pulling data to answer a question needs to be fast, intuitive and lightweight. It needs to adapt to the way end users work and operate in order to be used in reality. That also includes making it extremely easy to share and discuss insights found in the data. Chatbots or well-designed apps integrated into business messengers (again) are a great solution for this even today. Users can request data by giving instructions to a bot that responds with the according data points or visualization in seconds and right within a conversation, providing relevant data within context. Looking at the progress in Natural Language Processing, talking to those apps will become even more intuitive in the near future and even answers to complex questions will be answered fast and through an intuitive interface. To get users engaged with data, you need all three types of distribution: Recurring reports, data-driven alerts and intuitive on-demand access are the key to having well-informed users and to foster collaboration. But providing the same reports and dashboards through these channels is like posting the same funny cat picture to Facebook and LinkedIn and expecting both to go viral: It can happen but it’s highly unlikely. Instead you need to design reports, views and dashboards for the specific channels. Recurring reports should provide summary data and it’s okay to require more attention than just a quick glimpse. Alerts need to be as simple and straight to the point as possible and data for ad-hoc consumption should be structured in a way that it’s easy to filter and drill down, while still highly visual to be digested quickly when viewed in a chat conversation. The solution to getting from pure reporting to a data-driven culture is fostering engagement and collaboration around data. To get there, a clear publishing strategy for data that satisfies the different information needs of stakeholders is necessary and requires as much attention as the more technical bits of Business Intelligence. Leveraging communication tools like Slack helps integrating analytics to the natural workflow of every user and raises awareness for data. All this combined with the necessary executive sponsorship will give business end users the tools to act collaboratively and ultimately make better decisions from data.